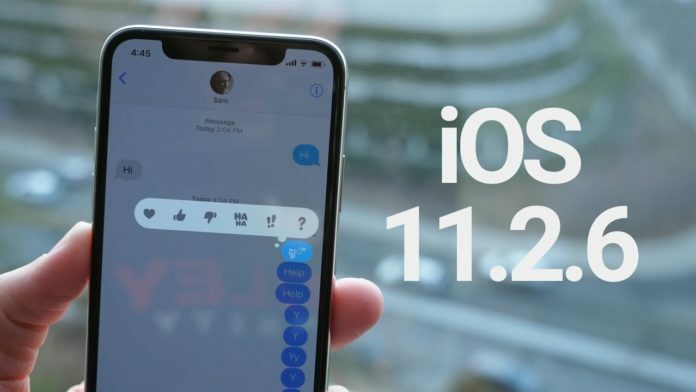 Today Apple released its iOS 11.2.6 version for ios Apple devices, previously, Apple had the iOS version of 11.2.5. You can download the iOS 11.2.6 version for your respective iPhone and iPad devices that are listed Below. Recently iOS 11.2.5 had a bug on which an Indian Telegu character caused a lot of issues on iOS devices. It fixes the critical Telugu character bug that rendered a lot of devices useless in the last couple of days. This bug affects iMessage, Facebook Messenger, WhatsApp, Twitter, Telegram and pretty much any other app you can imagine. Apple Released this update with an intent to fix the glitch that the iOS 11.2.5 had and also there is much time left before the launch of iOS 11.3 as it is on Beta stage. Apart from the “Indian character” bug, this update also has fixes for compatibility of third-party apps with various accessories. Since it’s a public release, there’s no need for you to install any OTA profile. This update will appear in the “Software Update” section of your device. We recommend all the users to Update their Device to the latest 11.2.6 if you haven’t already done so. The Indian character Bug already affected many devices which caused the loss of data from devices. 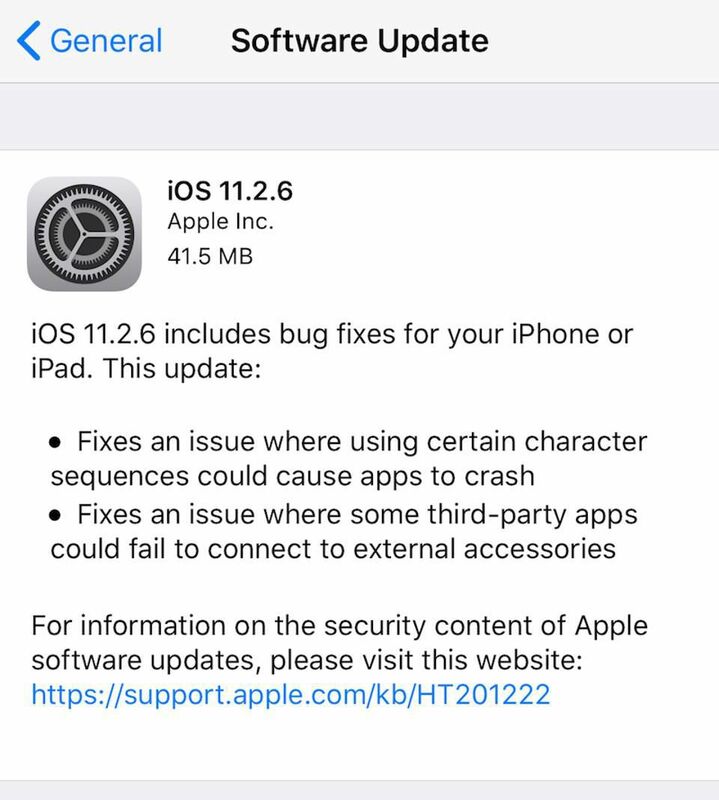 To keep your Device safe from the bug we highly recommend you to upgrade to iOS 11.2.6. For more updates on iOS release and others stay tuned to our website and follow your facebook page.